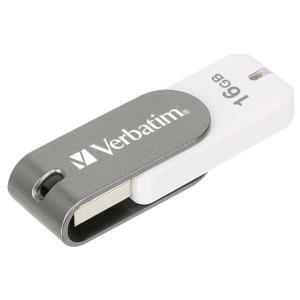 The Verbatim Store 'n' Go Swivel 16 GB USB 2.0 Flash Drive offers a convenient cap-less swivel design from a reliable name you've come to trust. The Verbatim Store 'n' Go Swivel Flash Drive gives you the ability to capture all your data in one small, convenient location and move that information with you throughout the day, no matter where you go! The swivel cap allows you to easily plug in and then flip around to protect the USB connector and your data-no cap to lose!